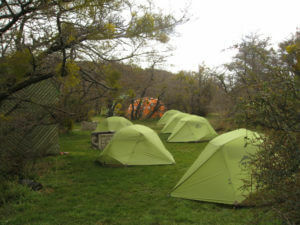 Dittmar Adventures has a base camp located in Camping Central just outside of Torres del Paine National Park. 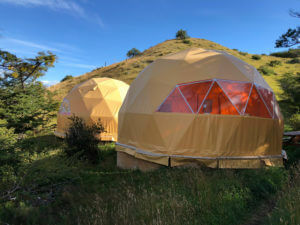 We have two structural dome tents located at our camp. One is used as a kitchen to prepare meals for larger groups; the other is a perfect space for hosting large crowds (maximum 30 people). We accommodate to both recurring itineraries that bring many travelers throughout the season, and also to smaller agencies or travel clubs that bring hikers once. Please contact us to make arrangements for your group while camping. 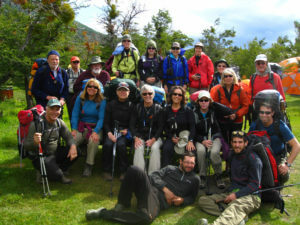 We can organize custom itineraries and offer Tour Leader / Guiding services while in Chile. We abide by Servicio Nacional de Turismo (SERNATUR) and all legal requirements to operate adventure tourism in Chile.